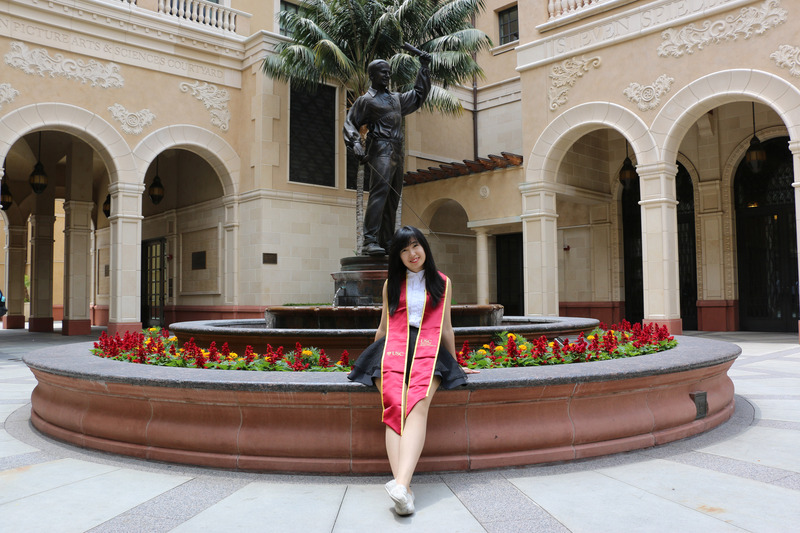 Xu (Becky) Qiu, one of MCL members, graduated from USC on May 15, 2015. Congratulations to her and her families for her accomplishments in MCL and USC. Xu (Becky) Qiu received her B.E. degree in Software Engineering from Shandong University (SDU), Jinan, China in 2011. Since 2013, she has been a research assistant in Media Communications Lab (MCL) at USC, advised by Prof. C.-C. Jay Kuo. Starting from Fall 2013, she served as a member of MCL Web Committee for a year, in charge of the alumni web page maintenances and updates. Becky was also the TA for a web design summer course for MCL interns in Summer 2014. In Fall 2014, she was the TA of Digital Image Processing (EE569). Since May 2014, she has been working on PWICE Google Glass Project as the team leader. On May 15, 2015, Becky Qiu got her M.S. degree in Electrical Engineering from University of Southern California (USC), Los Angeles.